The Vice-President and Foreign Minister of Serbia Ivica Dacic, upon his arrival in Cuba said his participation in the events underway in Havana of the Association of Caribbean States (ACS) shows the interest of his country to strengthen relations with the region. 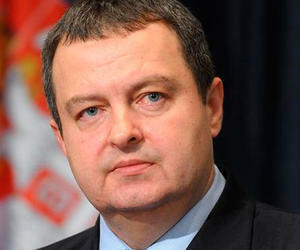 Dacic told the press at the Jose Marti International Airport that Serbia has the best relations with Cuba and hopes to have the same with the other countries in the region. He dismissed the geographical distance between Serbia and the Caribbean and said what is important is the willingness to have friends and to support the Caribbean in those issues the region has as priorities. We can cooperate in issues related to climate change and natural disasters and their consequences, he said.